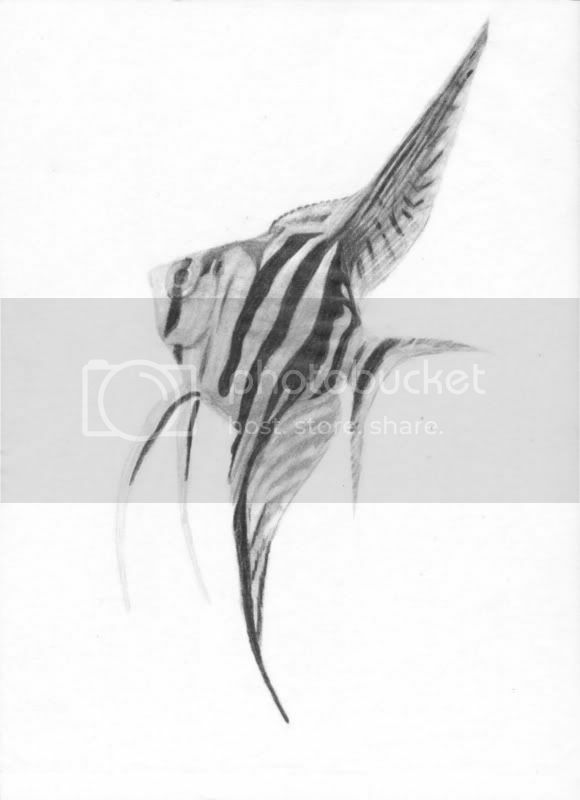 Does anyone paint their fish? 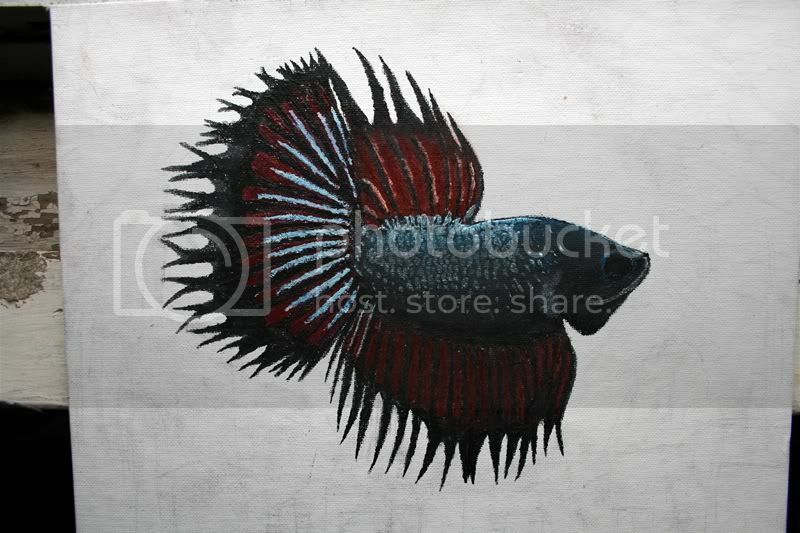 Posted: 2011.11.22(Tue)20:44 Post subject: Does anyone paint their fish? 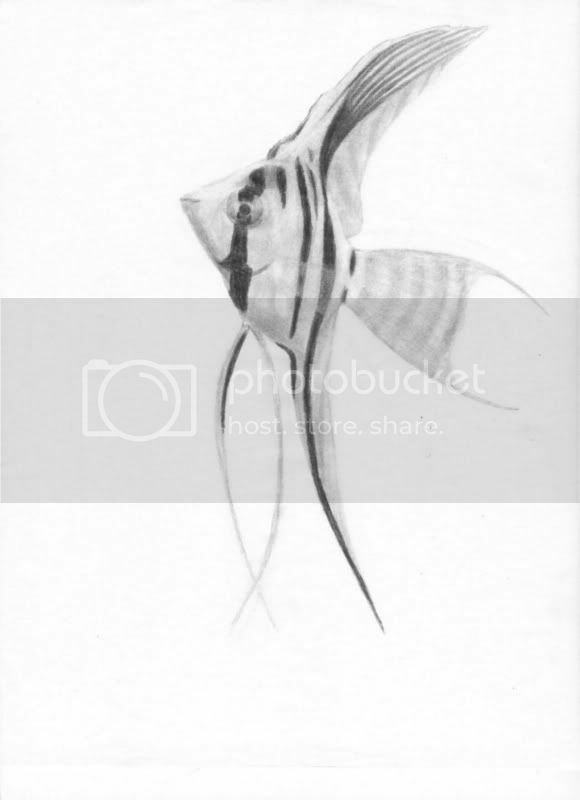 Haha, sorry, I mean paint on a canvas, not paint the actual fish, of course. I'm not a good painter, it's just a hobby, but I just wondered if anyone else painted their tanks/fish/plants. This is my best attempt, oil on canvas, and not quite finished. Takes forever to dry in the humidity in Queensland... the guppy isn't finished yet. That's good the layering and shadowing is good, and the layout and color scheme is gorgeous! That is really cool! I've been meaning to take up painting again but I didn't have any ideas.... now I do! 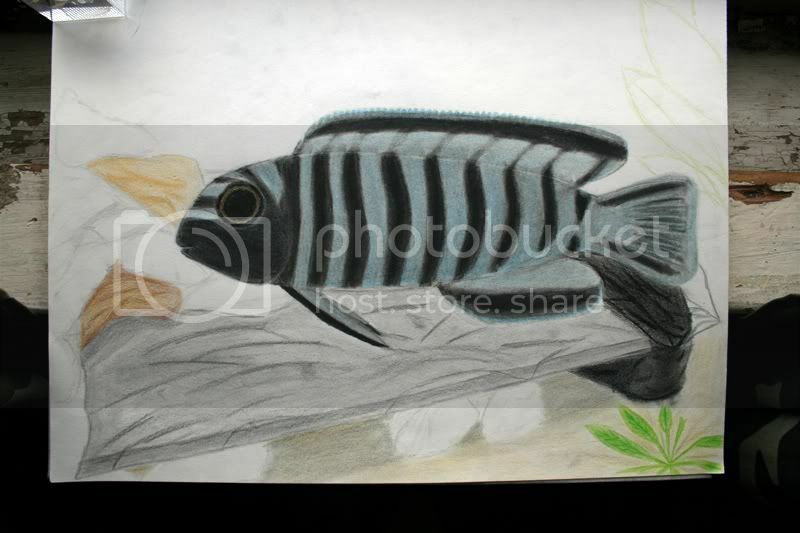 I have painted a Betta(not one of my own), I have also done black and white pencil drawings of two Angel fish that I had a while back, and an incomplete full color pencil drawing of a hybrid African cichlid that I currently own. Water color with some Prismacolor. Wow those are REALLY good Matthew! I especially love the pencil drawing of the Angel! Wonderful detail! Thanks Danikins! The Angels are my favorite too.